We hear the excuses everyday: ‘my pet is not overweight, he is big boned’; ‘I do not want to starve him’; ‘I have no idea how he got this big!’ As veterinary healthcare team members we must remember that obesity is a disease and it that has become an epidemic. It is estimated that 35%-40% of adult pets and 50% of pets over age 7 are overweight or obese – and this number seems to rise yearly! A number of disease conditions have been associated with obesity. Obesity has also been associated with a shorter lifespan! This profession is all about helping pets live longer and healthier – so why not talk to your owners about getting their four legged family member fit! Excessive caloric intake and decreased physical activity are the primary ingredients resulting in obesity. Managing obesity calls for reducing caloric intake and increasing physical activity. Obesity is one of the leading preventable causes of illness/death. Weight management and obesity prevention should be among the top health issues healthcare team members discuss with every client. We are acutely aware that obesity is a difficult disease to discuss with owners because most pet owners do not recognize or want to admit that their pet is overweight. Regardless, all members of the veterinary team need to be part of the solution and communicate the role of weight management in pet health and disease prevention. The team should evaluate every patient that comes into the hospital, every time they come in to the hospital to establish nutritional needs and feeding goals. These goals will vary depending on the pet’s physiology, obesity risk factors, and current health status. As we are all aware, patient evaluation begins with a complete history including a detailed nutritional history and a complete physical examination including a complete blood count, serum chemistry and urinalysis. In order to have a successful weight management program the healthcare team must perform a detailed nutritional evaluation including the type of food (all food) fed, the feeding method (how much, how often), who is responsible for feeding the pet and any other sources of energy intake (no matter how small or seemingly insignificant). What brand of food do you feed your pet (try to get specific name)? Do you feed moist or dry or both? 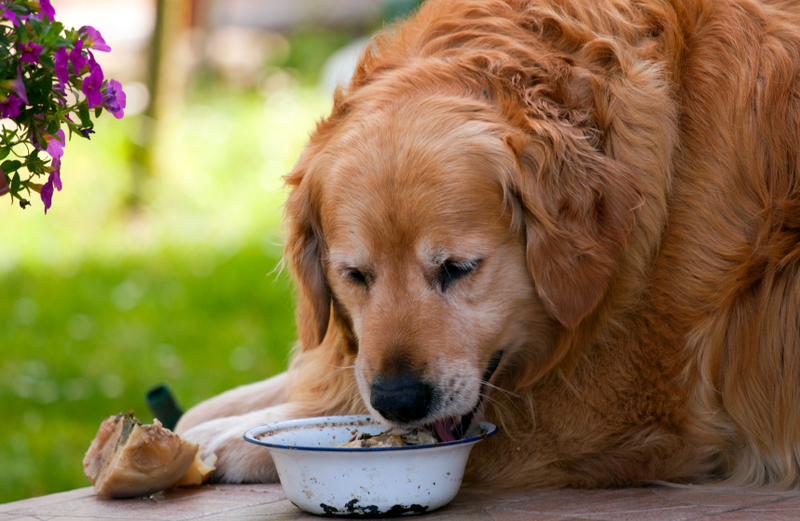 How do you feed your pet – feeding method (how much, how often)? Tell me about the snacks or treats you enjoy giving to your pet. Do you give your pet any supplements? What medications if any is your pet taking? including chewable medications? Tell me about the type of chew toys your pet enjoys. Do you feed your pet any foods or treats not specifically designated for pets (such as human foods)? If so, what and how often. A complete nutritional history provides consistency and accuracy of patient information, key insights to barriers in client compliance, guides client discussion, and supports the optimal weight management program for the pet. We also need to remember to weigh the pet and perform a body condition score at every visit and record this information in the pet’s medical record. It’s helpful to use the same scale and chart the findings for the client. Body condition scoring (BCS) is important to assess a patient’s fat stores and muscle mass. The two most commonly used BCS systems are the 5 point scale or the 9 point scale. Both rating scales have a 9 point rating, with the 5 point scale being scored to the nearest half score and the 9 point being scored to the whole point. Use whichever scoring system works for you – but remember to be consistent among colleagues and with the client so we do not confuse or miscalculate the patient’s weight. When scoring a pet begin at the head and work toward the tail. Fat cover is evaluated over the ribs, down the topline, around the tailbase, and ventrally along the abdomen. Scoring ranges from 1 to 5 or 1 to 9, with 1 being very thin and 5or 9 being obese. A score of 3 out of 5 or 4.5 out of 9 is ideal. 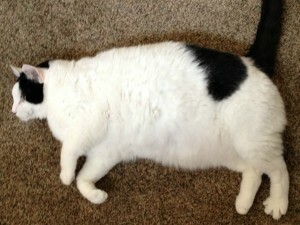 The optimal body condition for a cat or dog is 15% to 25% body fat. Consequently, a BCS rating of ideal will estimate the pet to have 15% to 25% body fat. 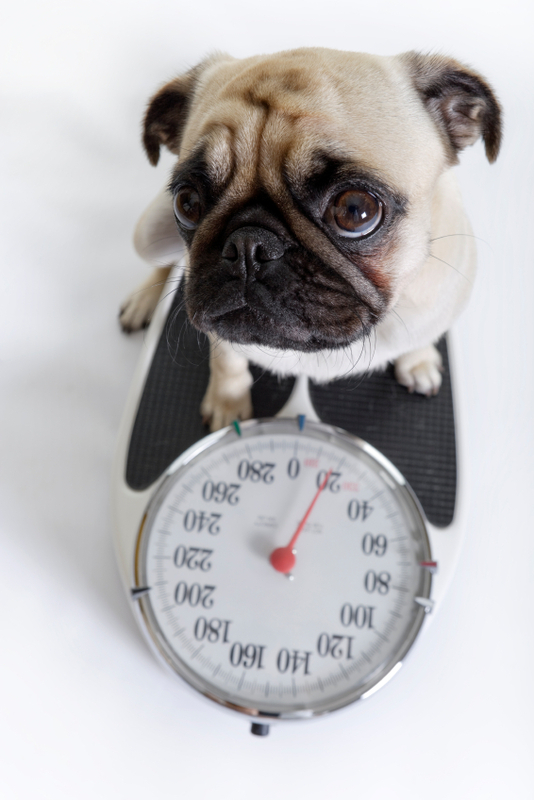 A BCS rating of overweight estimates the pet to have 26% to 35% body fat, and a BCS rating of obese estimates the pet to have greater than 40% body fat. The picture below should be recorded as a BCS 5/5 or 9/9. A healthy and successful weight management program results in loss of fat tissue while maintaining lean body mass. Consistent and accurate assessment of weight and BCS are important tools to monitor progress. The use of body condition charts and breed charts are helpful tools in discussing the importance of weight management with clients and helps them visualize what an optimal weight would look like on their pet. 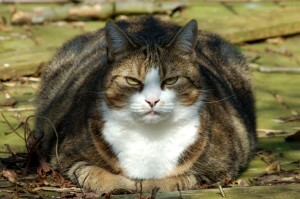 This is part 1 of a 2 part series on Obesity in small companion pets by Ms Burns. *If any of this information was useful or you would like to see similar content, “LIKE” the Pet ED Veterinary Education and Training Resources Facebook page and subscribe on the HOME page of the PetED website to receive upcoming newsletters and news.